Kids are meant for speed on their own level. They want toys that ride like cars and motorcycles. They love riding toys that they can drive through the yard or down the sidewalk. 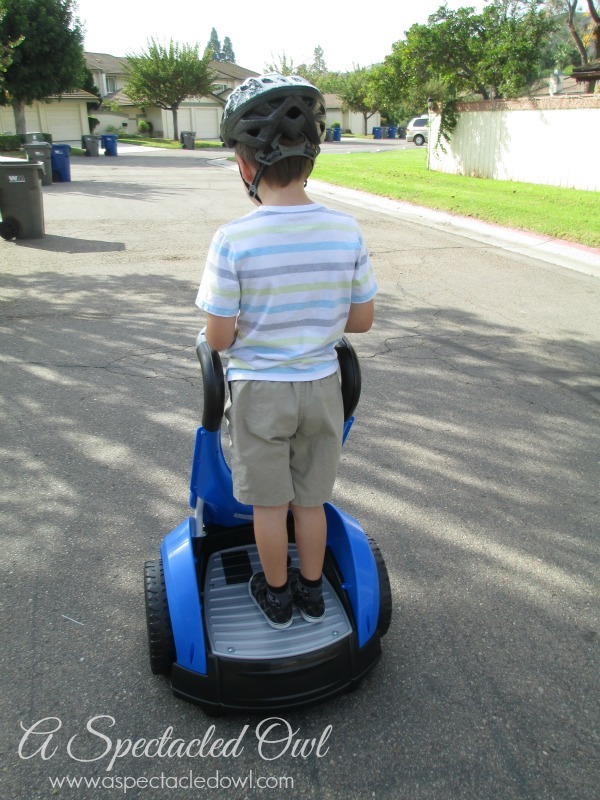 My 6-year-old son Ryan is ALWAYS on the go and loves toys that are fast and fun. When it comes to toys for kids to ride on, they have fallen into 2 categories. There are small cars for kids up to about the age of 5 and then there are electric scooters and dirt bikes for older kids. Kids between the ages of 6 to 10 have fallen in between and have been left out. That is, until the Spanish toy company, Famosa, came out with the Dareway. Famosa, which was established in 1957, is known for its artisan dolls and has become a leading European toy company and doll manufacturer. By bringing innovative, safe and high-quality toys to kids, they are reaching new heights in their developments for kids. 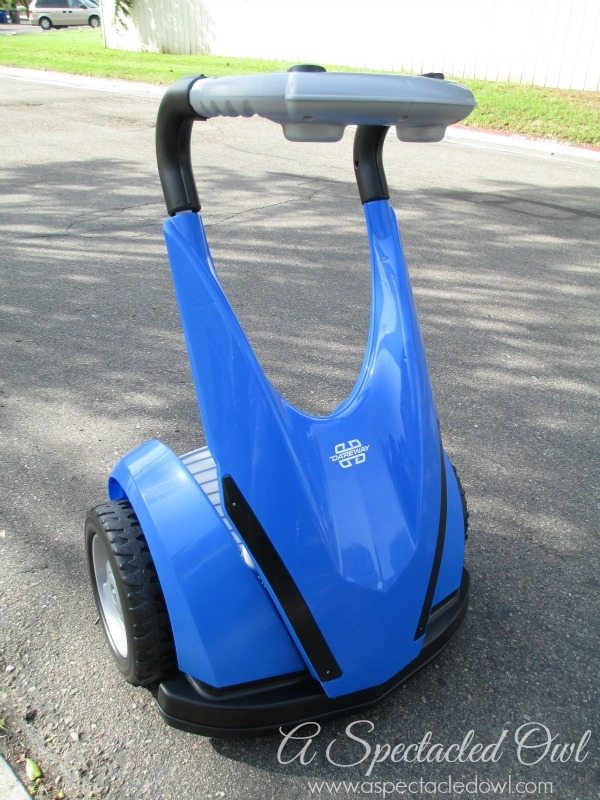 If you picture an adult Segway, and then make it small and safe enough for kids, then you have the Dareway. 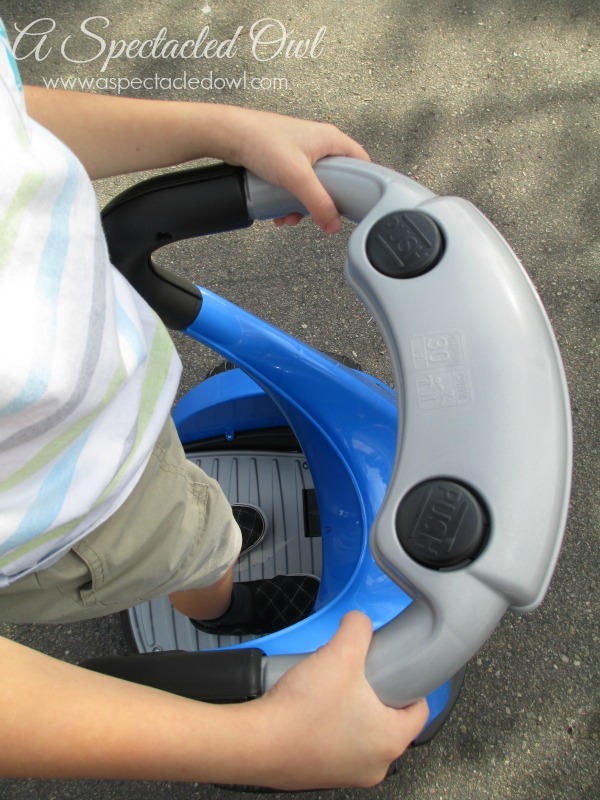 This stand on riding toy runs on a 12-volt battery. 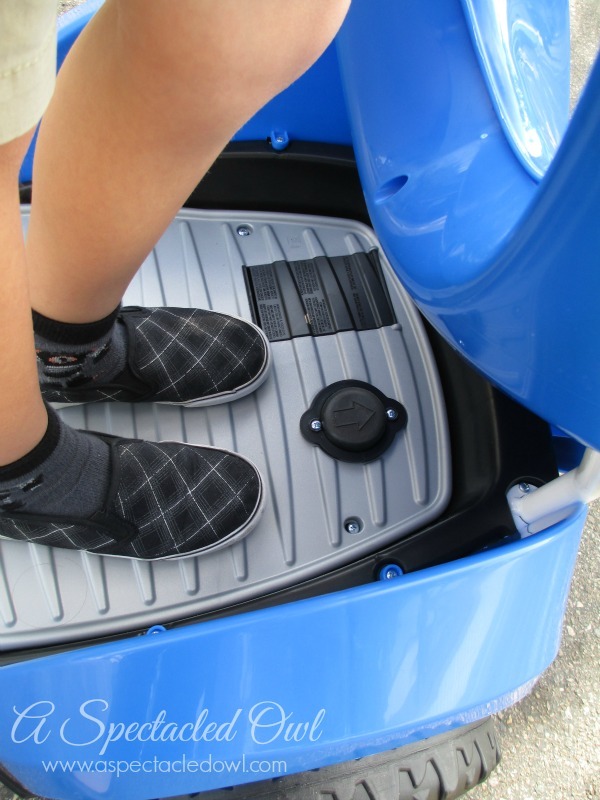 The Dareway is designed for kids who are 6 and older but only up to 89 pounds. 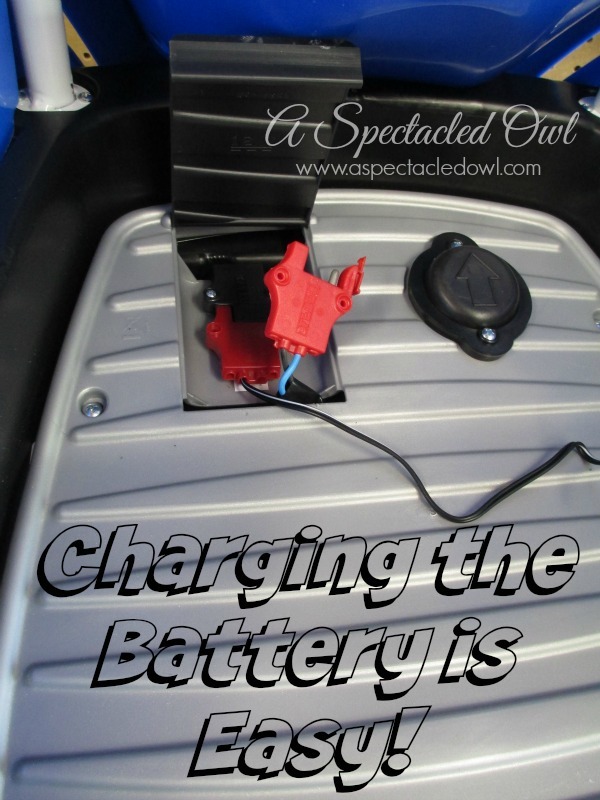 One rider at a time gets on and uses the foot pedal accelerator to control the Dareway. 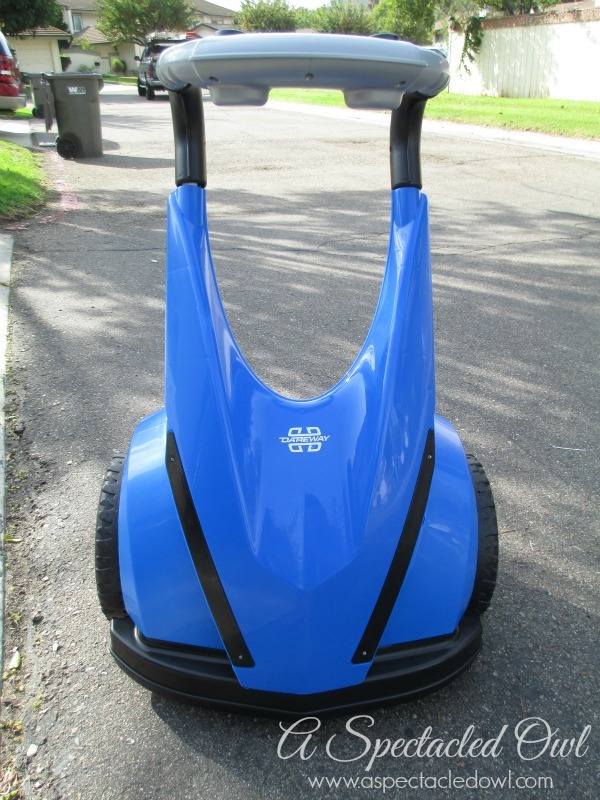 Hitting a max speed of 3.7 mph, the kids press the handle-grip buttons for making left and right turns. Then the kids can also make 360-degree spins. Push both buttons at the same time, and the kids take off in reverse. Ryan feels confident riding on his Dareway and it only took a couple minutes of showing him the pictures on how to use it and us just giving him a few safety tips (don’t forget that helmet!) It’s definitely one of those things that people stop us and ask us what he is riding on. Kids can enjoy the Dareway as is or decorate it with the decals that are included. Then while the Dareway is charging, log on to the interactive website, Feber, and check out the free games, coloring pages, and puzzles. 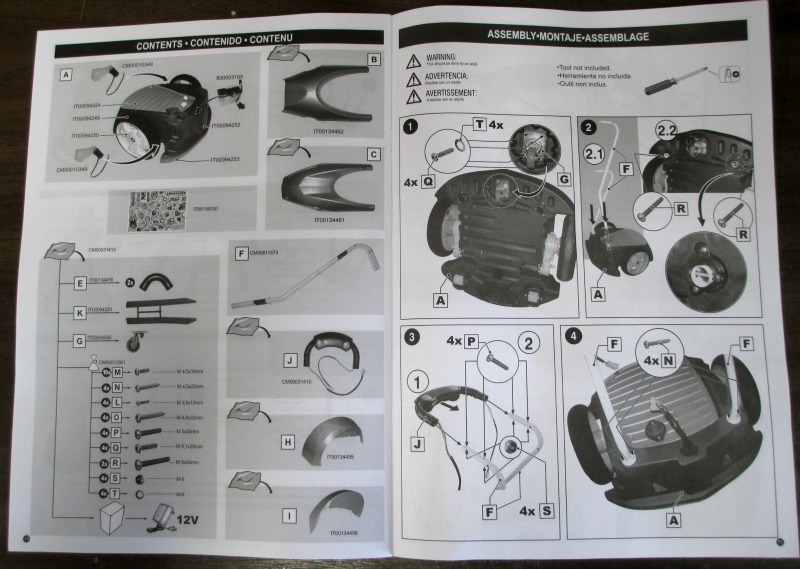 I will admit that the Dareway comes with a lot of parts to put together. It wasn’t hard to do, it just took awhile. There were a few screws that were challenging to get in where they needed to go but with a little help from my husband, we were able to get it all together and ready for Ryan to ride. The Dareway has also received The National Parenting Center Seal of Approval! You can head on over to find out where you can buy a Dareway for the child in your life. Learn more about Famosa and its many brands on their social media sites including Facebook and YouTube. OK… THAT IS AWESOME!! I’m not sure how coordinated Mia is, but I’d make her figure it out! So cool!! Oh my gosh these are cool! My boys would definitely love one of these! I totally want one for my boys!